APEC GOS (Group on Services) Chair Ms. Krasna Bobenreith presented the progress and next steps in the implementation of the roadmap. At the outset, Ms. Bobenreith explained that the ASCR was built on consensus. While domestic regulation is essential, some policies were more burdensome than nhecessary. The key to the roadmap was to have good regulatory practice – coordination in rulemaking, transparency, public participation, regulatory impact analysis. Towards these ends, ASCR outlined 14 areas for APEC-wide action. The Plan also provided for a mid-term review set by 2021. In 2017, the GOS was tasked to coordinate with stakeholders, including APSCo in the execution of the action items. A joint work plan and reporting framework was developed to facilitate collaboration and monitoring progress of the ASCR. Mr. Andre Wirjo of the APEC Policy Support Unit (PSU) added another feature of the roadmap which was the assigning of accountability to specific APEC fora. PSU’s role would be to work together with APEC on the statistics and indicators that would help in monitoring progress – to assess how the situation has improved. and assured the GOS chair that the Coalition members even in their individual capacities could be willing parties in the conduct of workshops on domestic regulations. The Coalition posited that the roadmap needed more frequent reviews in order to monitor whether progress was being made across APEC and within individual economies. 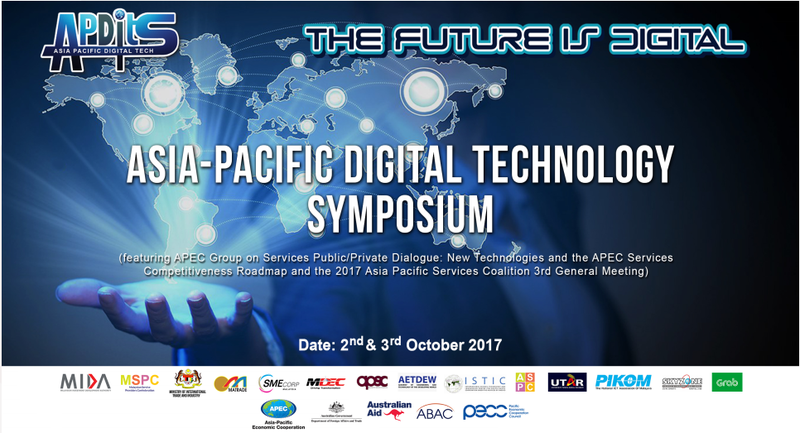 APEC GOS has called on the group for more collaborative engagement. It was agreed that the matrix of the implementation plan would be shared with the APSC for inputs. The Coalition was also asked to be represented in GOS meetings. Ms Sulyna Abdullah, Chair of the APEC Ad Hoc Steering Group on the Internet Economy talked about services and connectivity in the context of the then draft APEC Internet and Digital Economy Roadmap. The draft work by the APEC Ad Hoc Steering Group identified 11 key priority areas to respond to the challenges and seize the opportunities presented by new technology and innovation. The roadmap was being finalised particularly on pending issues about cross-border data ﬂow and localization policies and frameworks. The 11 focus areas were: development of digital infrastructure e.g. broadband, promotion of interoperability, universal broadband access, holistic government policy frameworks for Internet and digital economies, alignment of regulatory approach aﬀecting the Internet, promoting innovation and adoption of new technologies, trust and security, cross-border data ﬂows, baseline digital economy measurements, inclusiveness of internet and digital economy, facilitation of e-commerce and digital trade. Ms. Abdullah also stressed the need for collaboration in responding to the rapid developments in internet-based technology to promote a regulatory approach that could provide appropriate prudential oversight, legitimate consumer and security protections while enabling the ﬂow of trade-related data in the context of an increasingly digitalized world. She added that with the environment of the internet age, we could not control anything, thus, regulations should just enable and protect. In the same way, businesses need to move forward quickly and cohesively as transactions move across borders. The chair of the APEC Ad Hoc Steering Committee concluded with a call for APSCo to support the APEC Internet and Digital Economy Roadmap, and to encourage respective senior officials towards developing APEC’s digital economy. Mr. Ho Meng Kit, Chief Executive Officer of the Singapore Business Federation, a Coalition member, described services discussion in various fora. He acknowledged the challenges to services liberalization noting not much progress had been made at the WTO. Meanwhile on the ASEAN front, some developments were to be expected especially with Singapore being the chair of the ten member bloc for 2018. 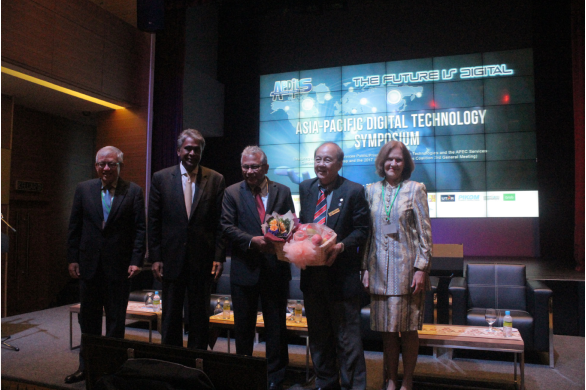 The ASEAN trade in services agreement (ATISA) was slated to be finalised in 2018. Recognizing that the services sector by nature was politically difficult to work on, the APEC work on the new services agenda and on the roadmap was commendable. Mr. Ho, also representing the APEC Business Advisory Council (ABAC) said that ABAC was committed to providing support. He believed that public-private sector dialogues (PPDs) should be institutionalized and made more regular as a platform for policymakers and private sector representatives to come together to talk about services competitiveness and broader issues of the Internet economy. He added that discussion of services should be intensified, and focused towards inclusion, development of MSMEs and job growth. 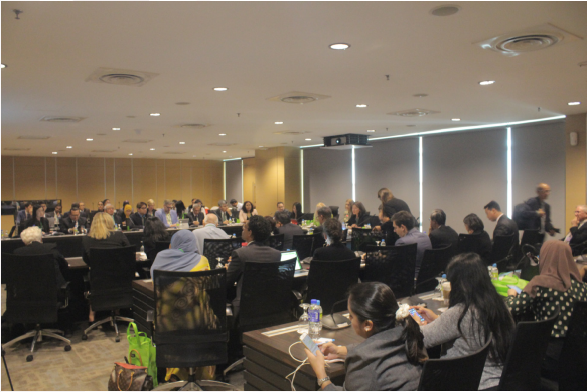 The Coalition acknowledged the value of having the general meeting held side-by-side the APEC Public-Private Dialogue that was successfully organized with the assistance of the Malaysian Services Providers Confederation. The attendance of APSC members was optimized having also participated actively in the PPD. It likewise opened the meeting to government delegates which was a welcome development. The group stressed the importance of having close coordination with institutions such as ABAC. Sharing of information and collaboration on certain issues would be critical especially in providing business inputs and encouraging implementation of the competitiveness roadmap. While they may have diﬀerent dynamics, ABAC and APSC share the same goal of promoting increased services trade and investment in the region. The Coalition also considered it had a larger role to play in the services agenda – guiding the direction, inﬂuencing and monitoring the outcomes. Although in its infancy, one of the strengths of APSC which had been demonstrated at the APEC PPD, was its unique ability to be an active translator and policy interpreter of what industries need and what businesses want. It was agreed that APSCo would be more active in engaging with partners and stakeholders and vocal in providing inputs to the services dialogues and initiatives. 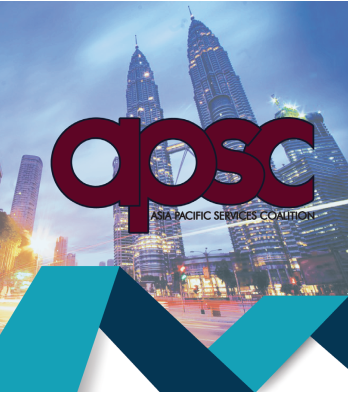 To further build the APSCo brand and establish it firmly as the voice of the services sector in the region, the group agreed to continue to work very closely with ABAC, and other key partners such PECC, PBEC, and APEC. The key would be to develop coherent, clear and specific recommendations, to eﬀectively communicate and implement proposed plans of action, in order to harvest quick gains in implementation of the ASCR as well as longer-term sustainable outcomes. 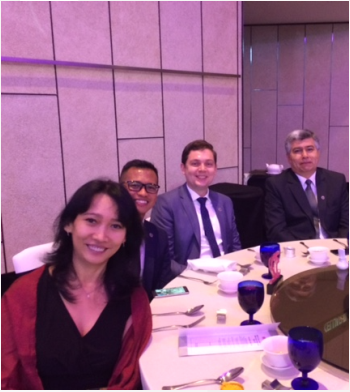 (5) development of a coalition action plan, including active support for an APEC PPD on services in 2018. For the next general meeting, a number of options were presented. The Australian Services Roundtable raised the idea of hosting the Coalition around April 2018 in Australia. The Indonesia Services Dialogue expressed interest in organizing or co-organizing the next general meeting if a date later in the year was chosen. Meanwhile, the US Coalition of Service Industries invited the members to the Global Services Summit that would be held in Washington DC on October 17, 2017.